Give the students more courage by hanging some motivational quote posters on bulletin board. 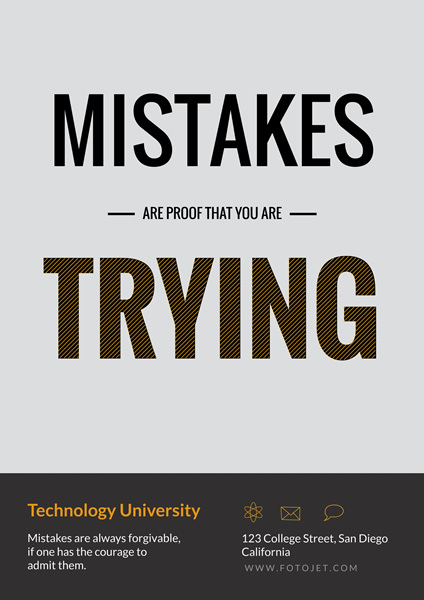 This motivational poster template with the quote”Mistakes are proof that you are trying” will speak directly to the heart of students and stimulate them to try more things and become more experienced. You can just apply your college details on the template to finish a poster design. Or add more adjustments to get another different designs. Effortlessly customize this poster template by typing other motivational quotes and modifying its colours, fonts and sizes.